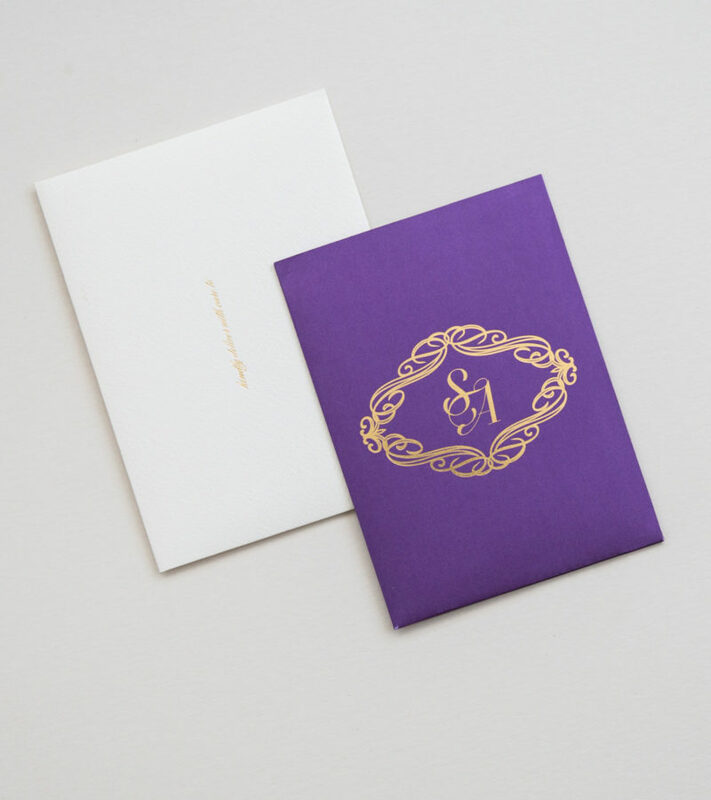 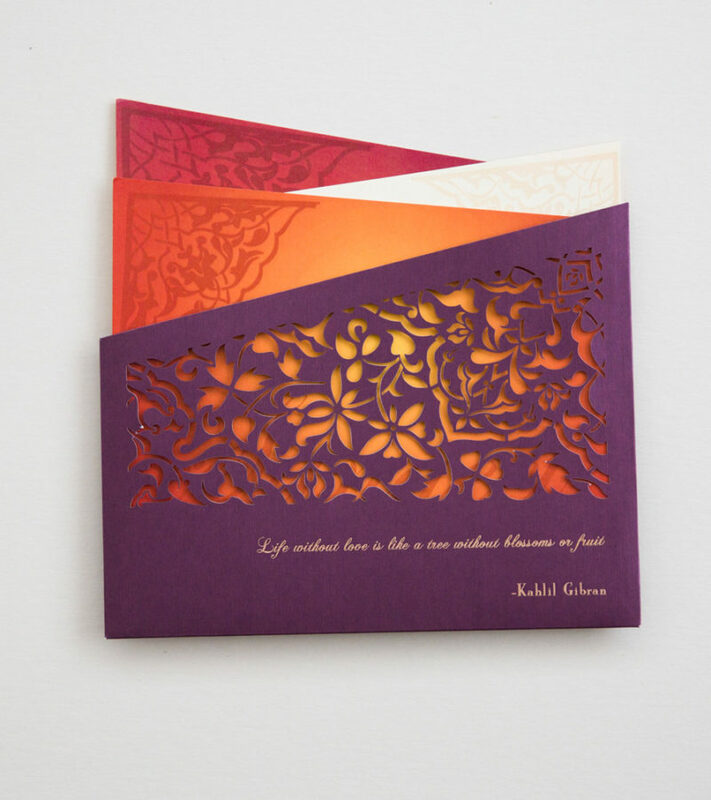 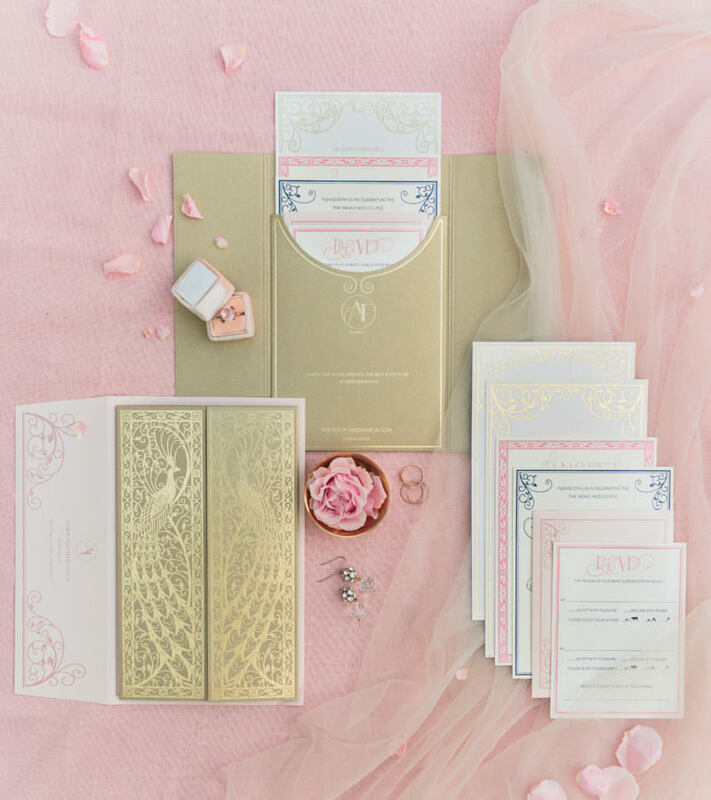 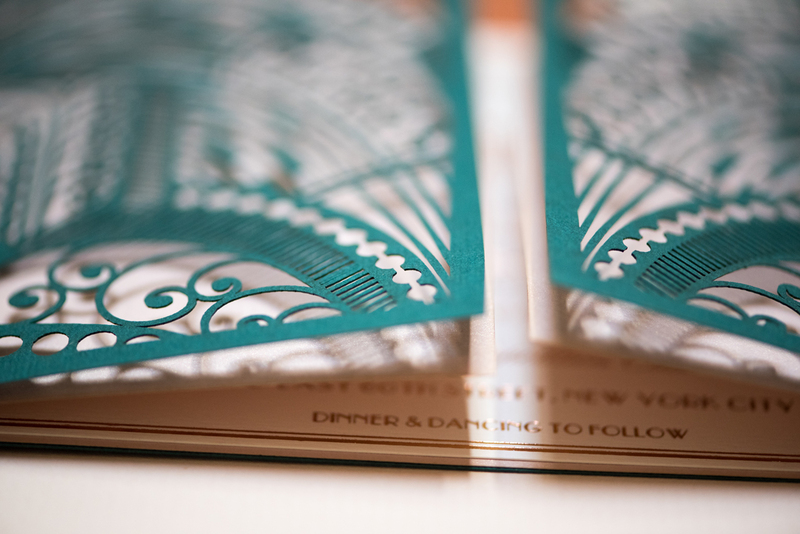 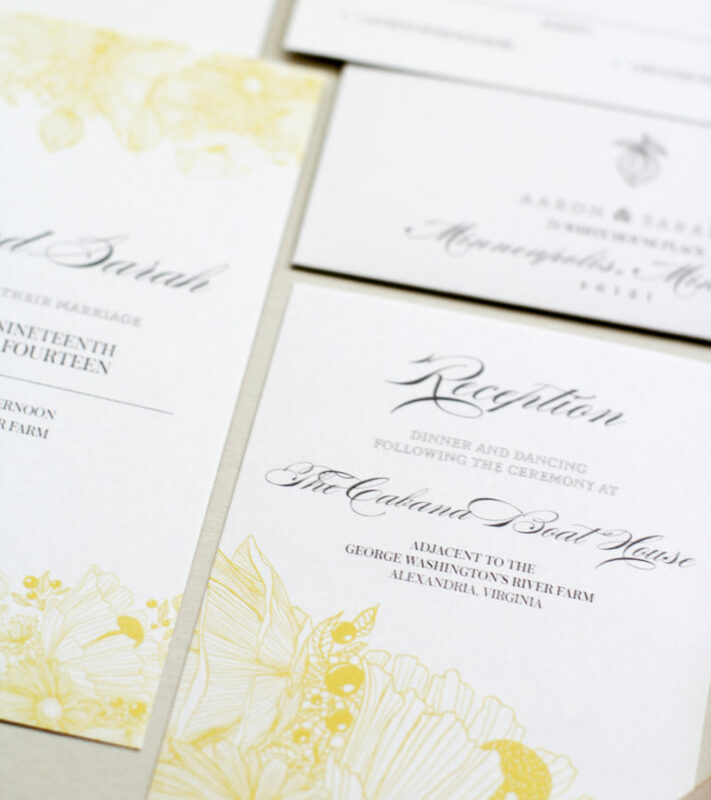 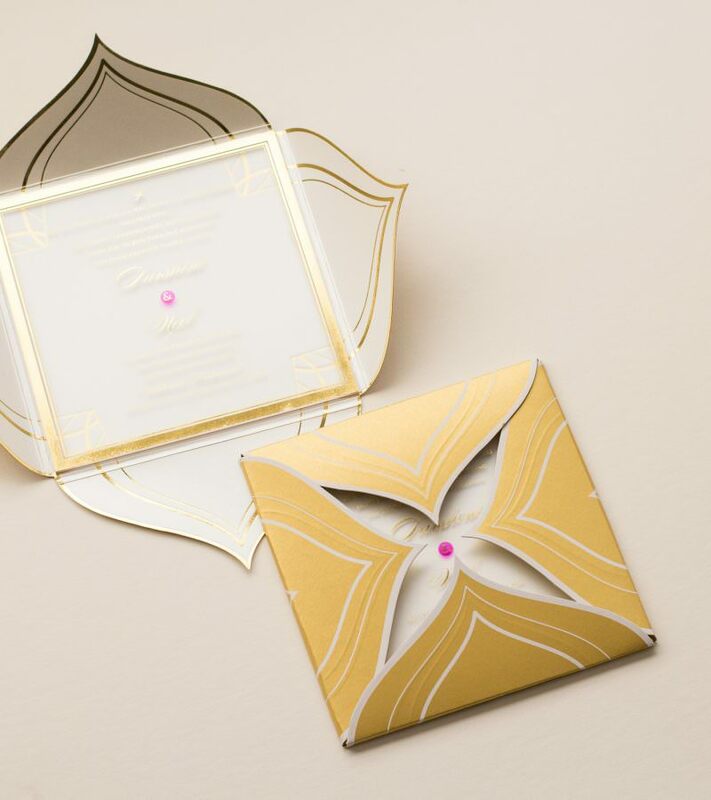 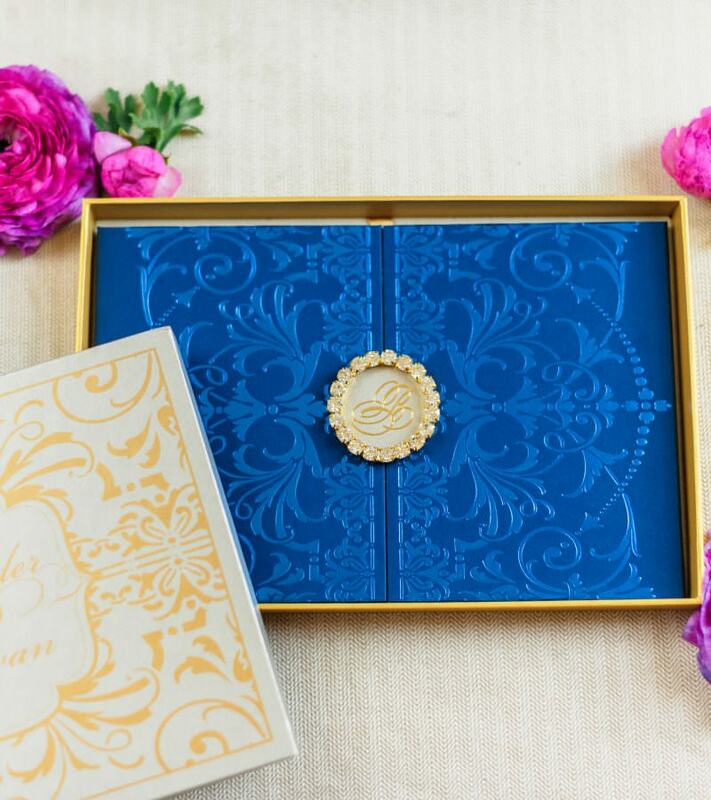 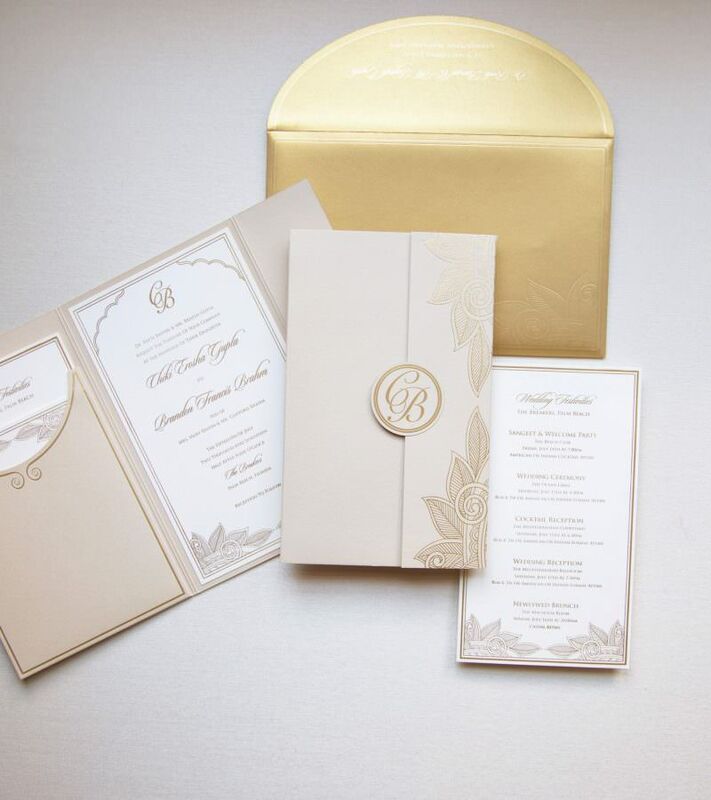 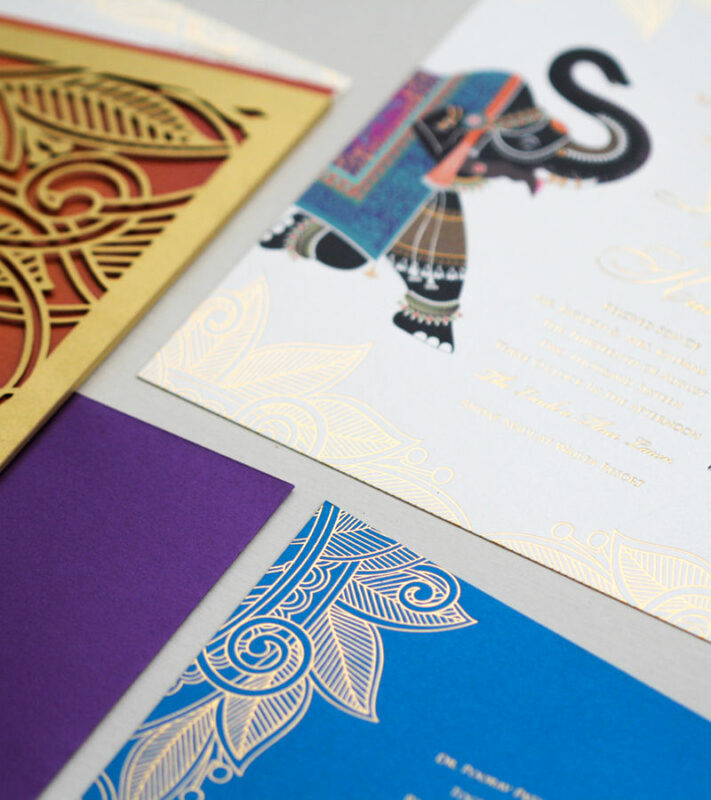 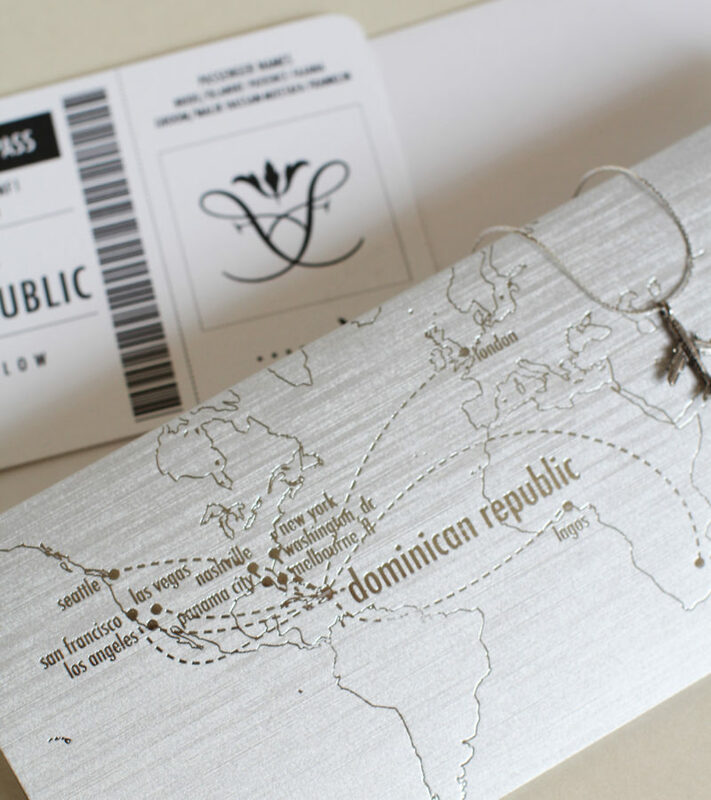 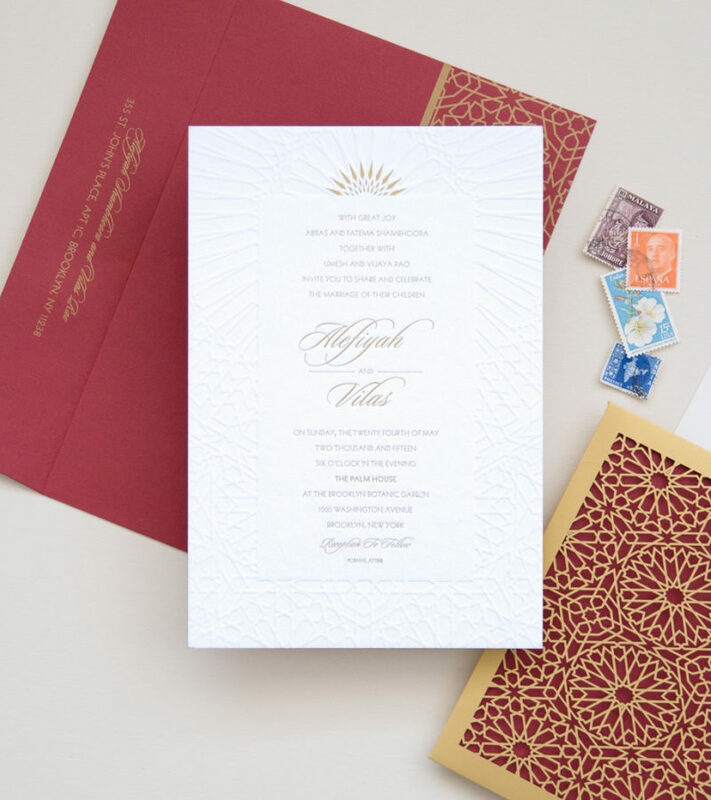 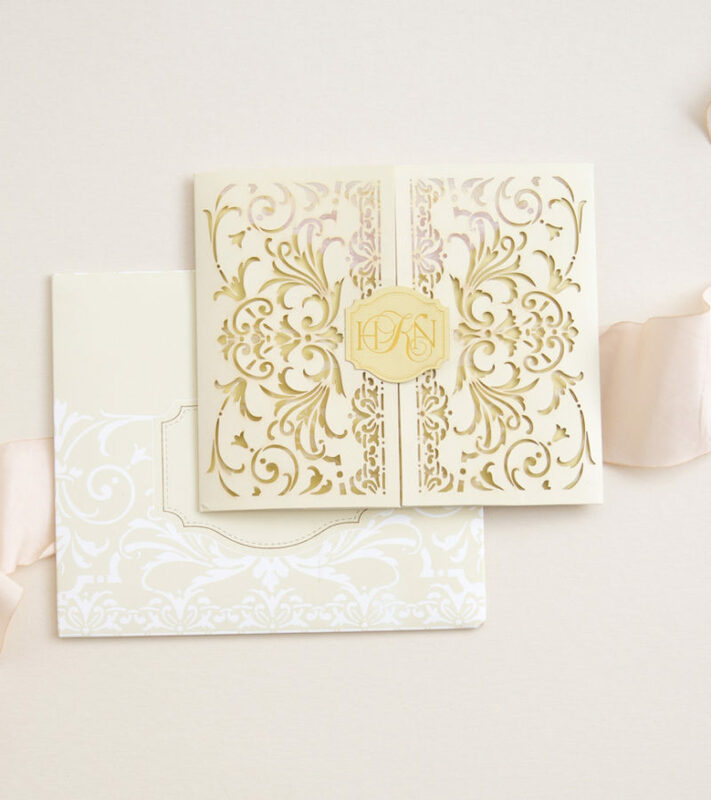 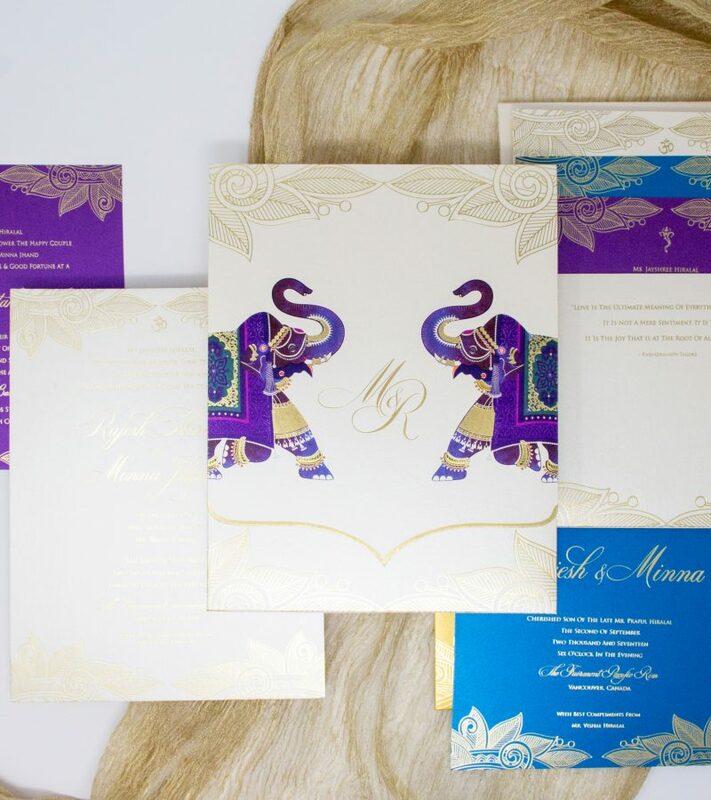 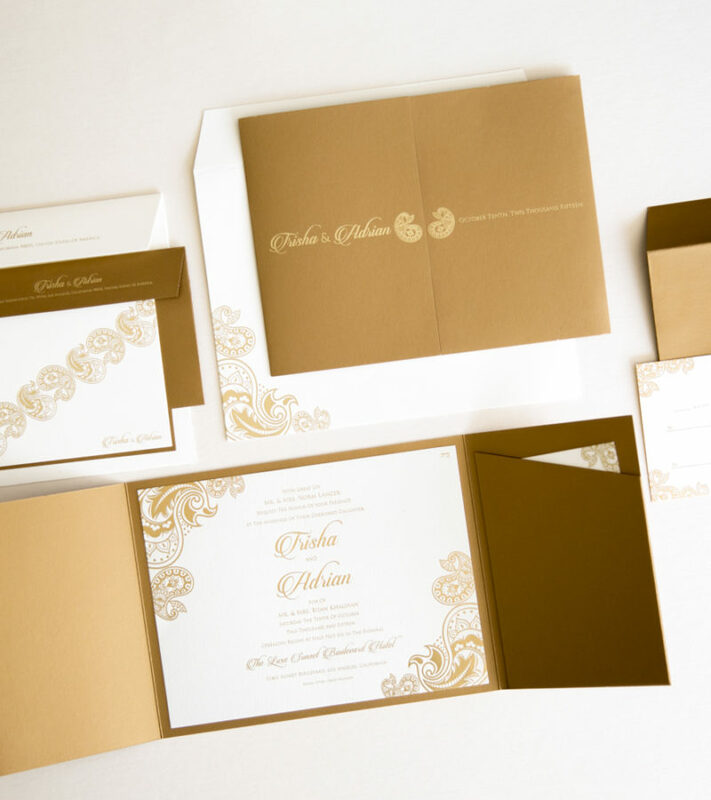 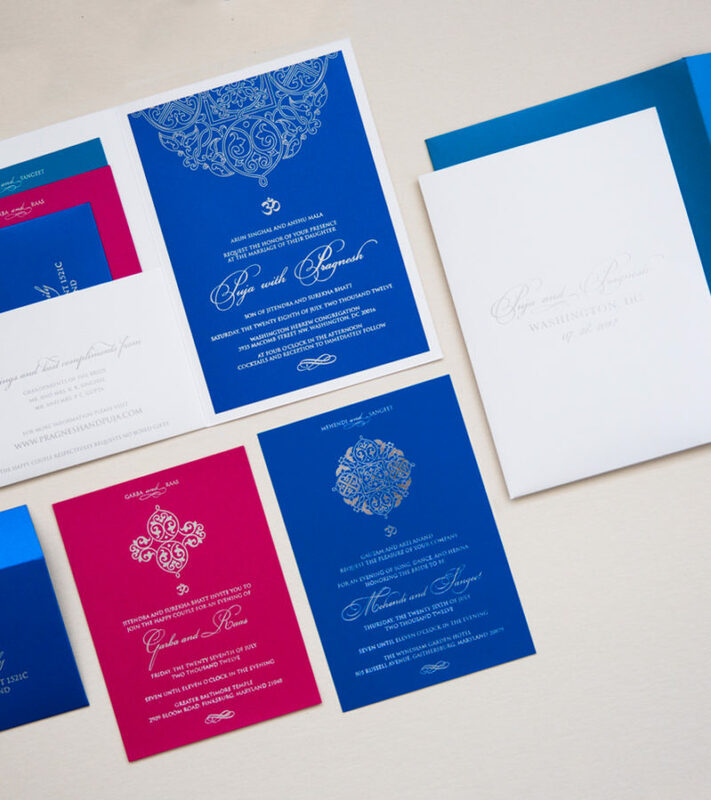 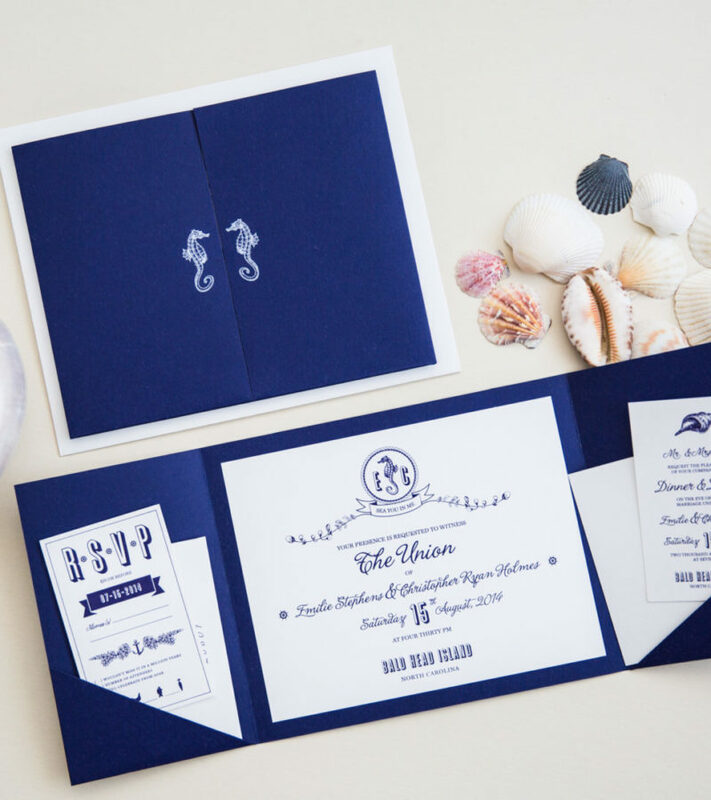 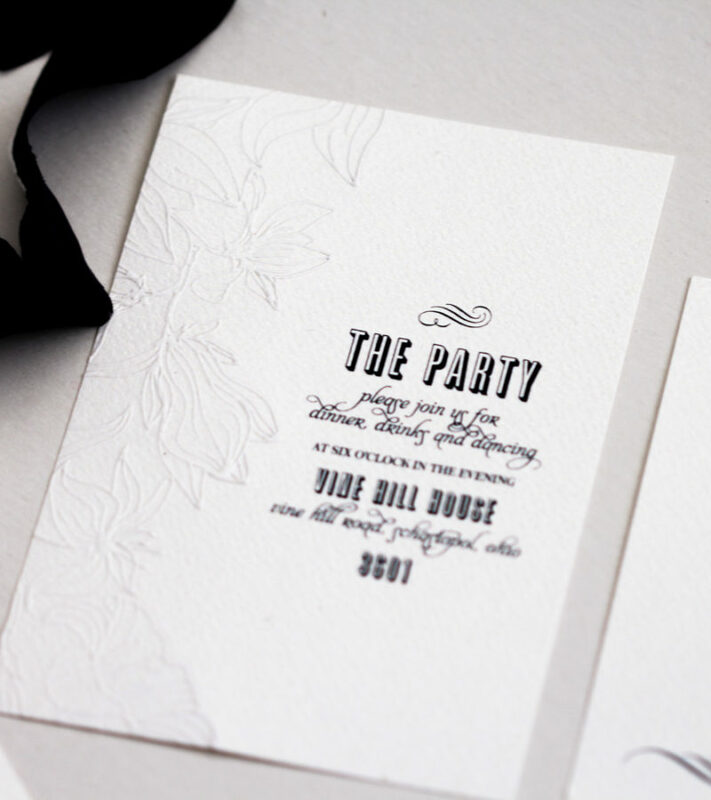 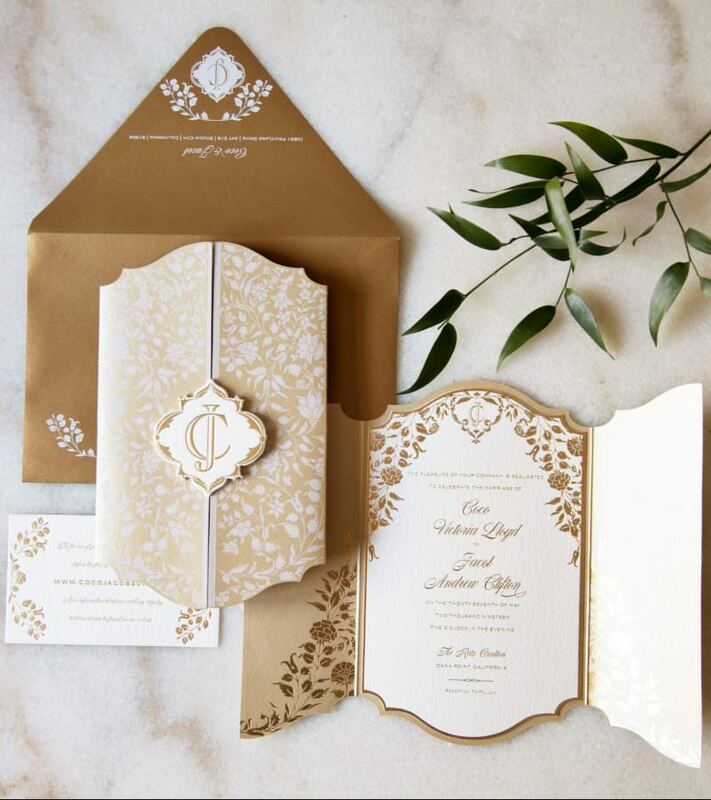 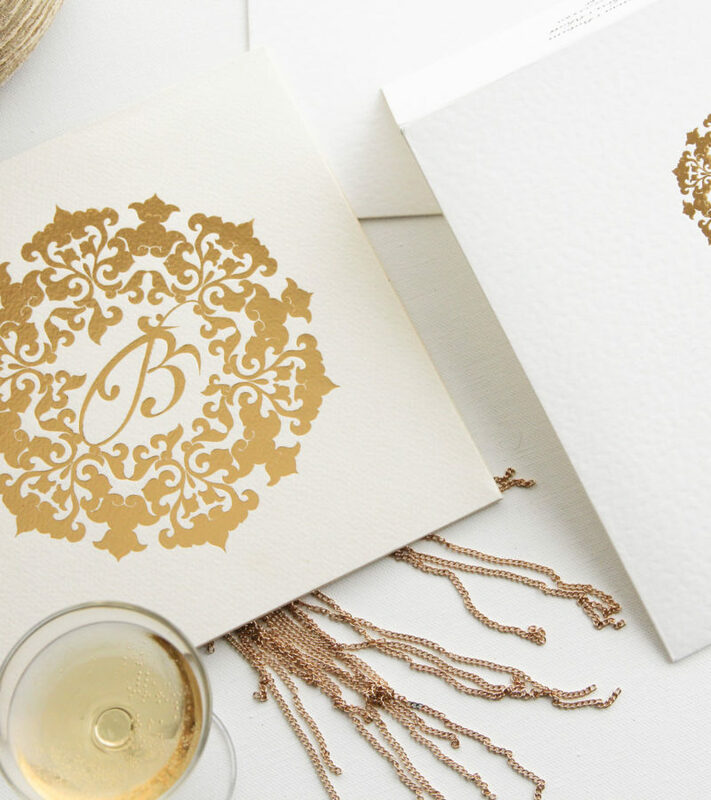 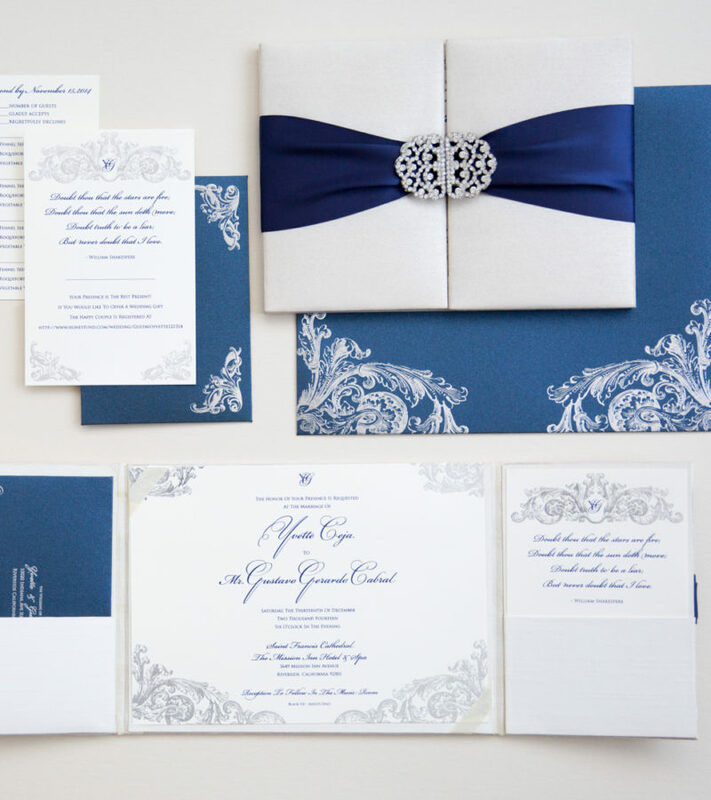 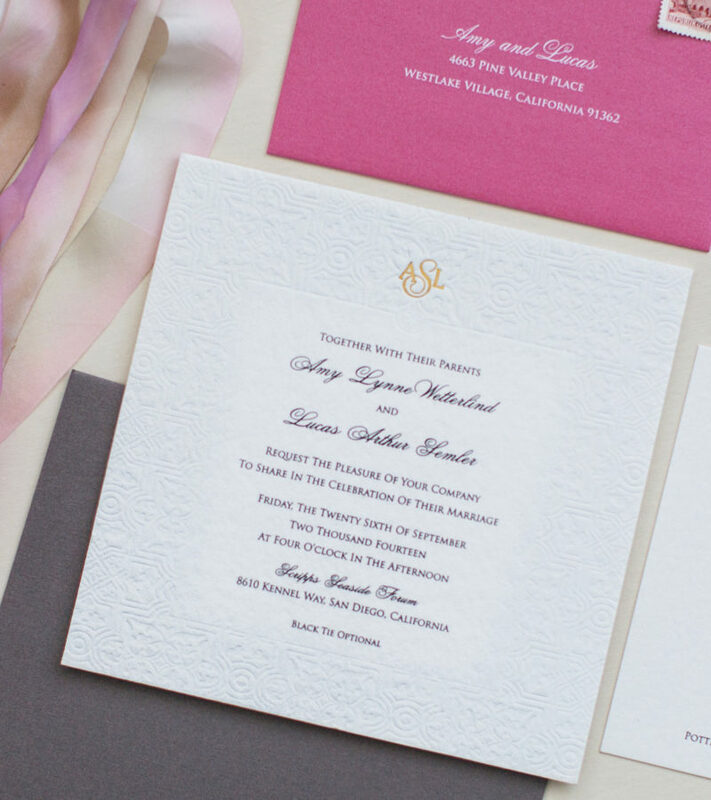 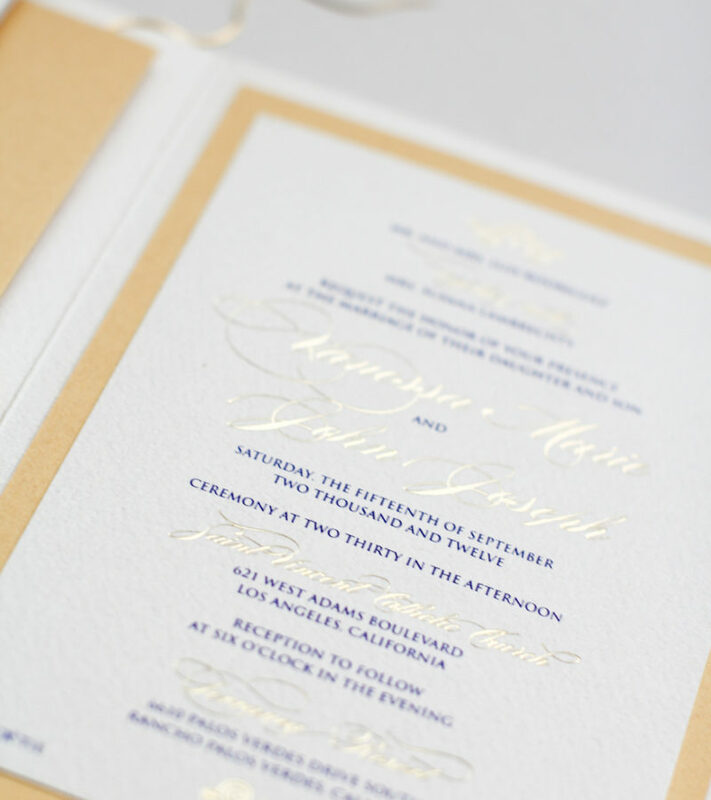 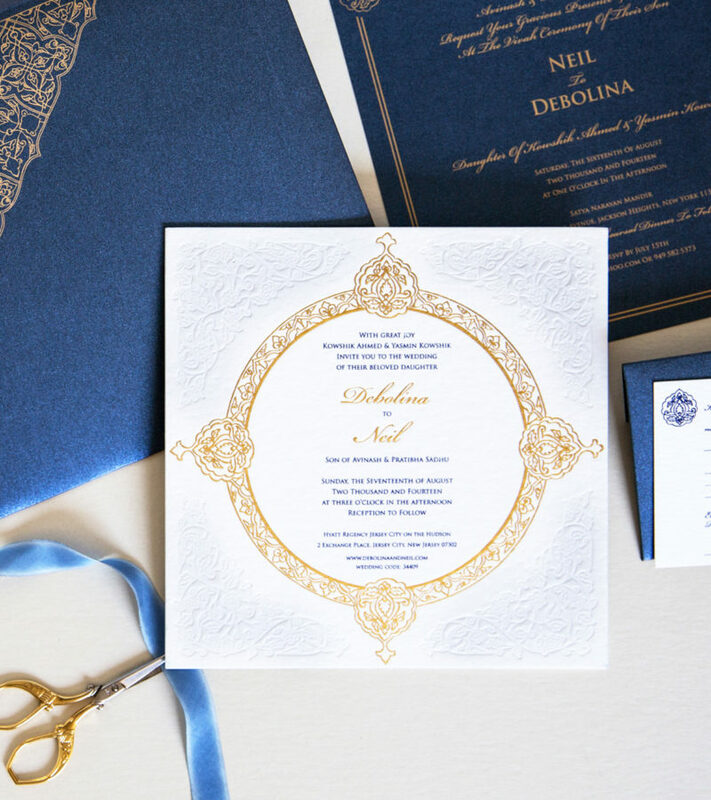 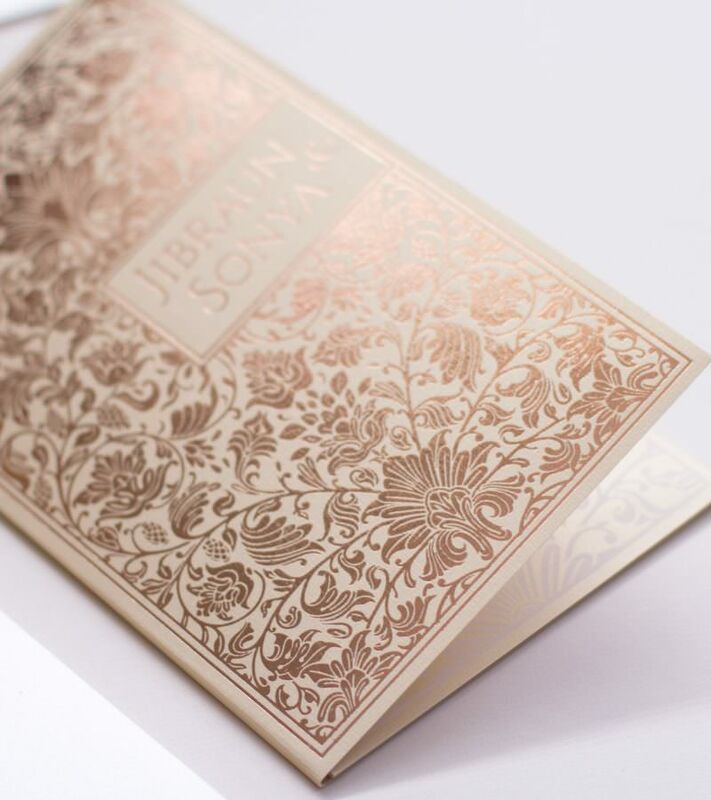 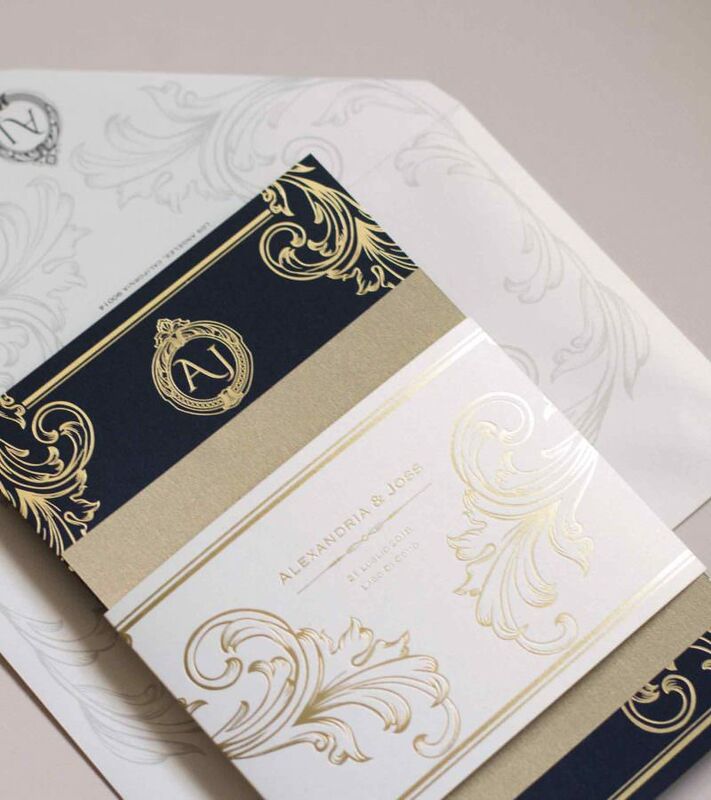 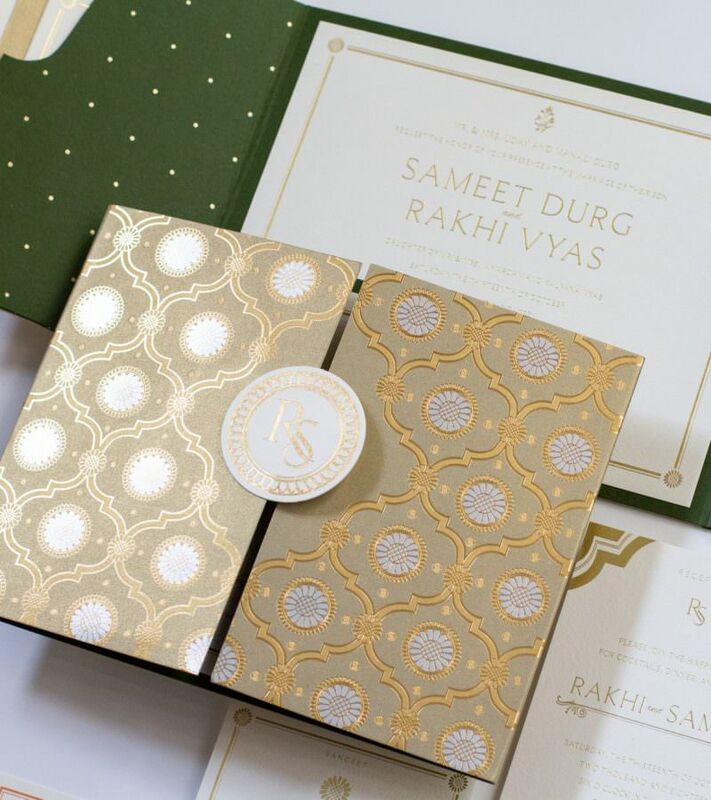 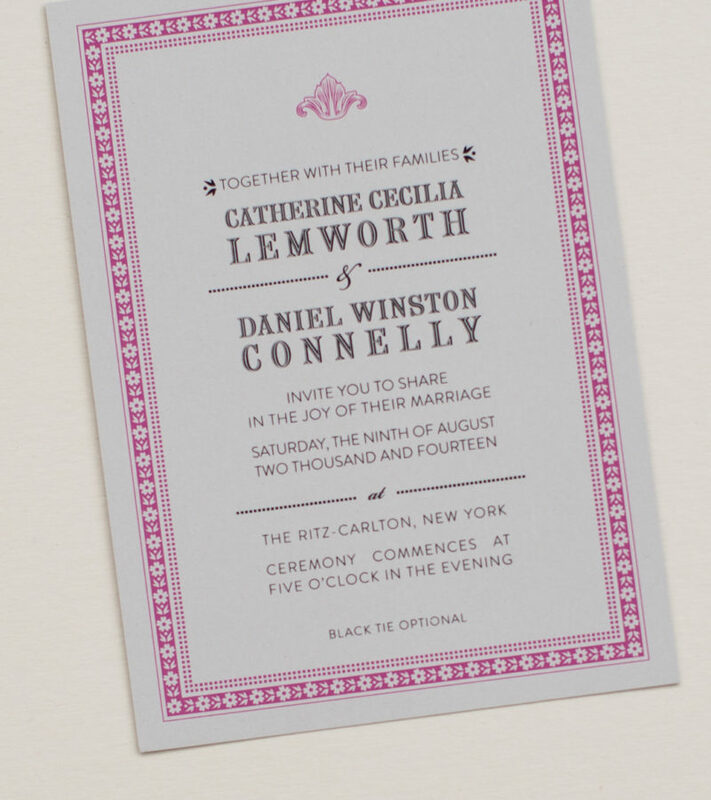 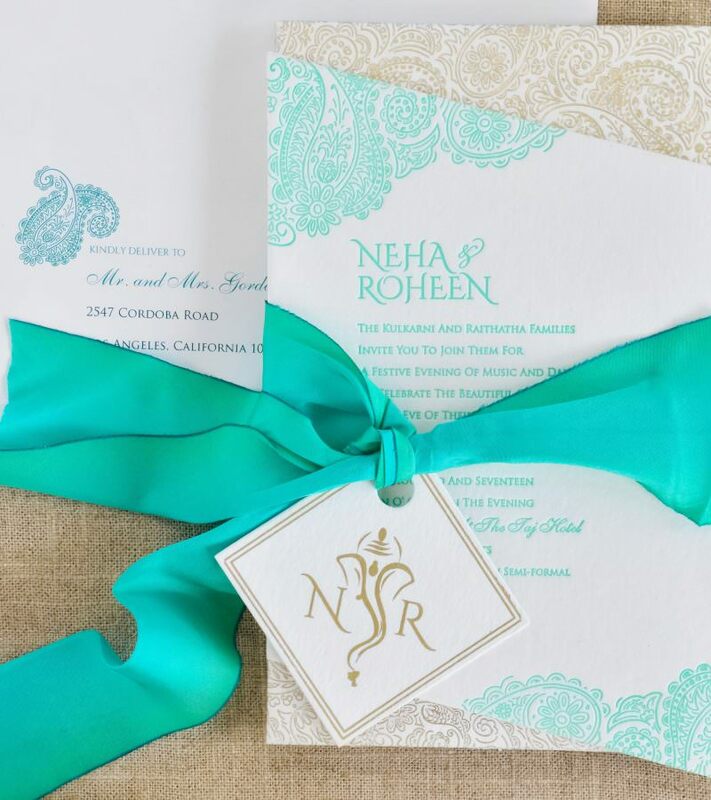 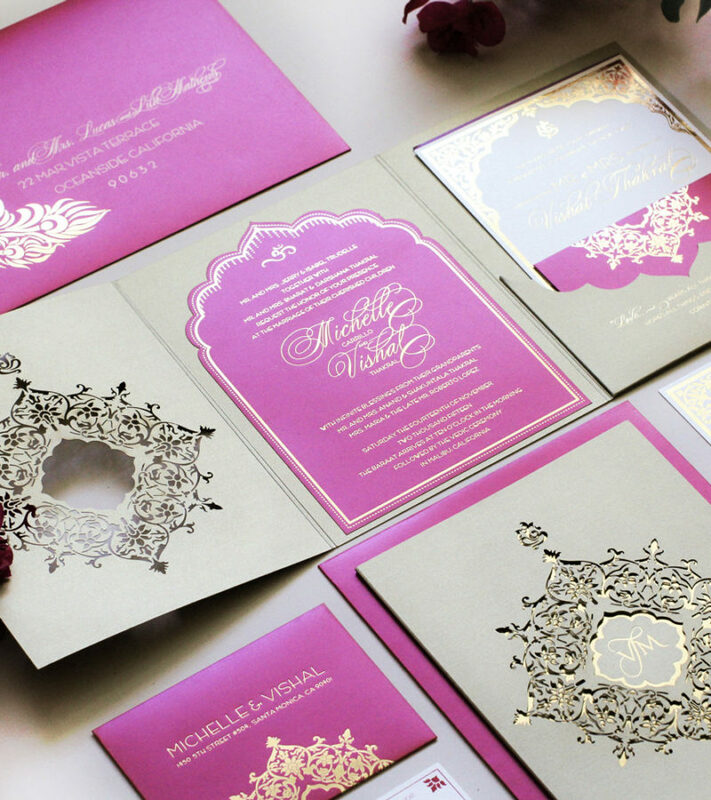 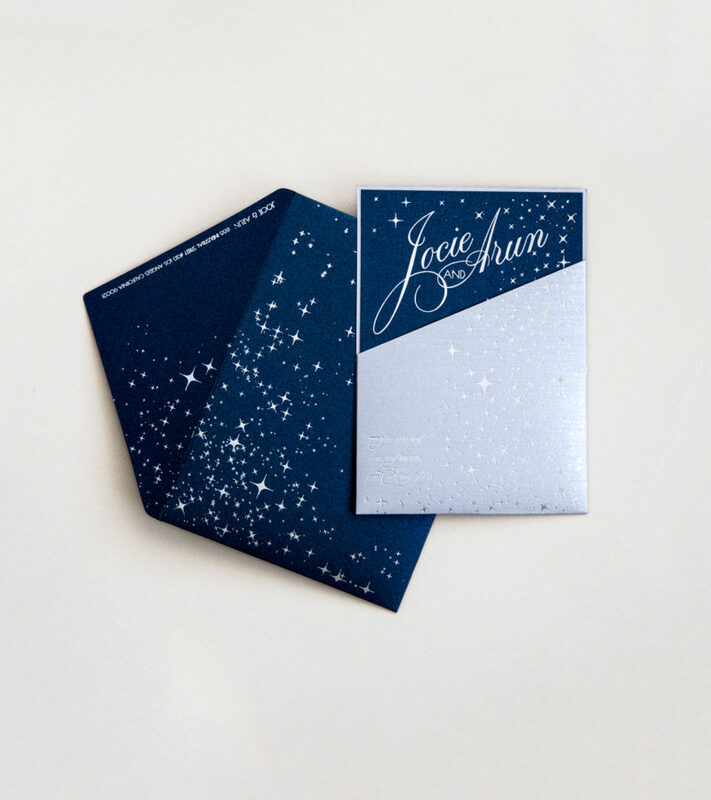 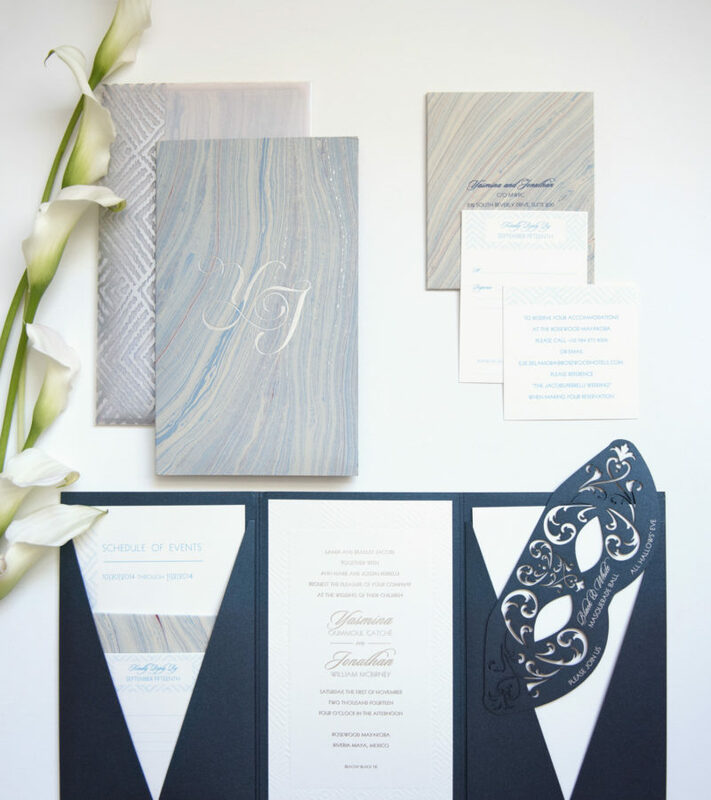 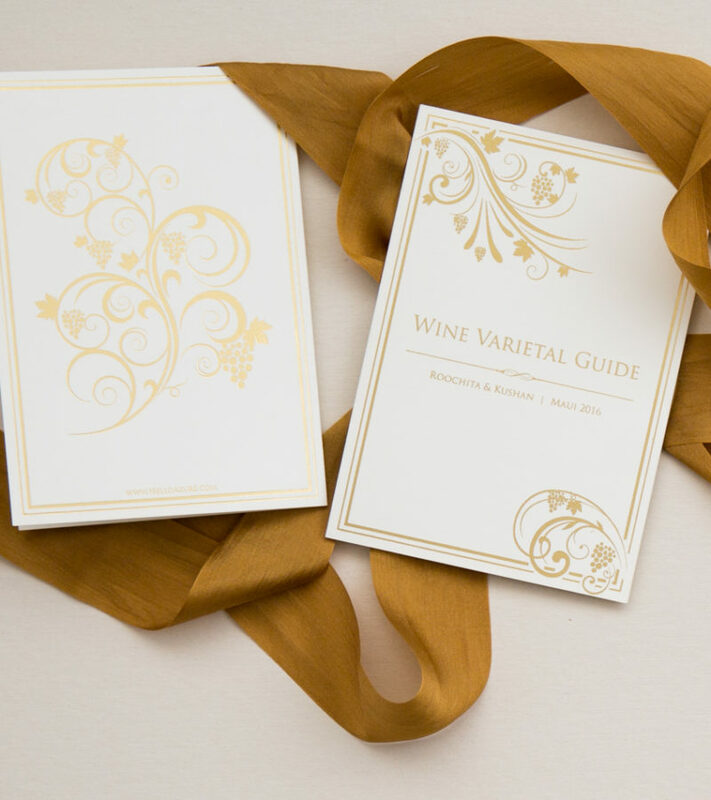 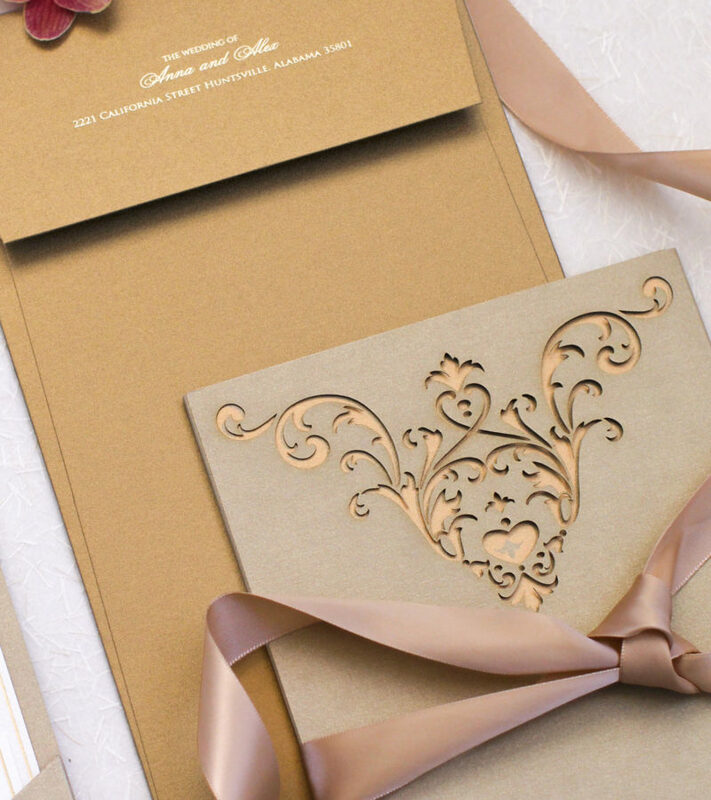 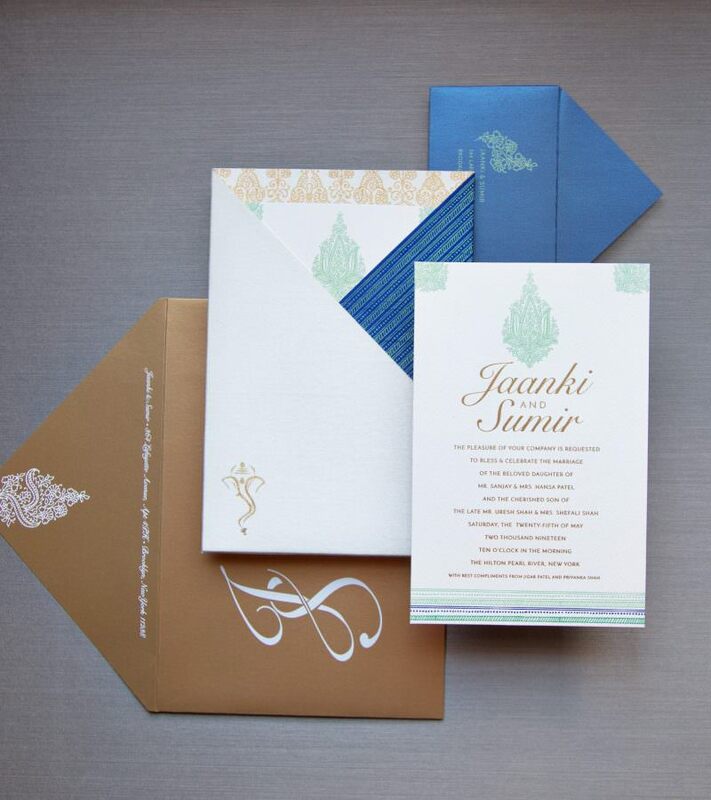 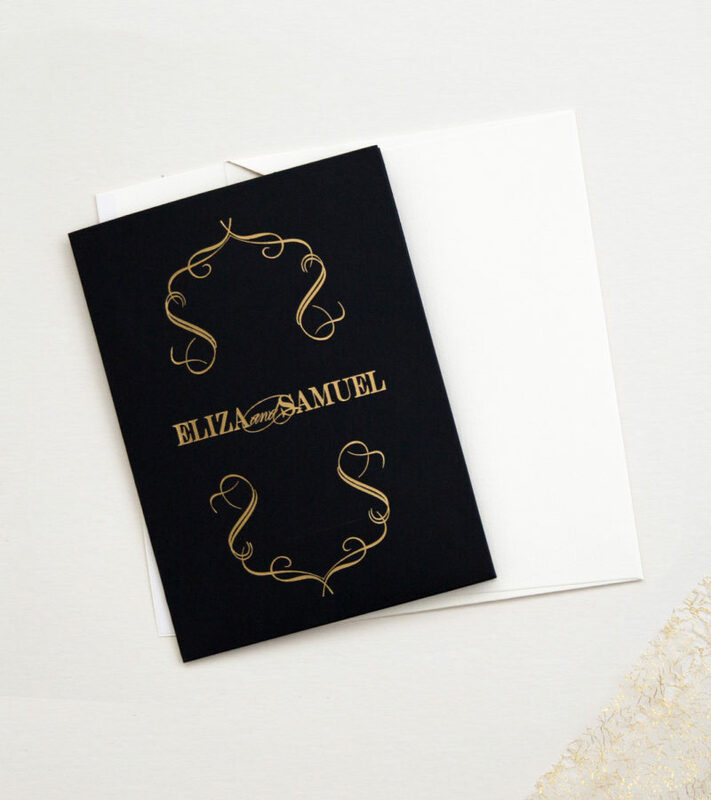 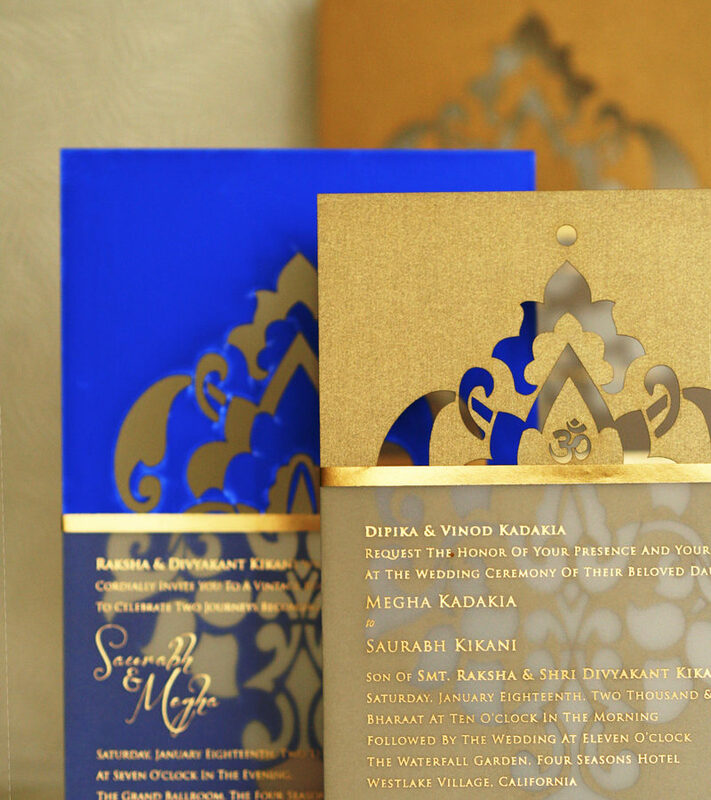 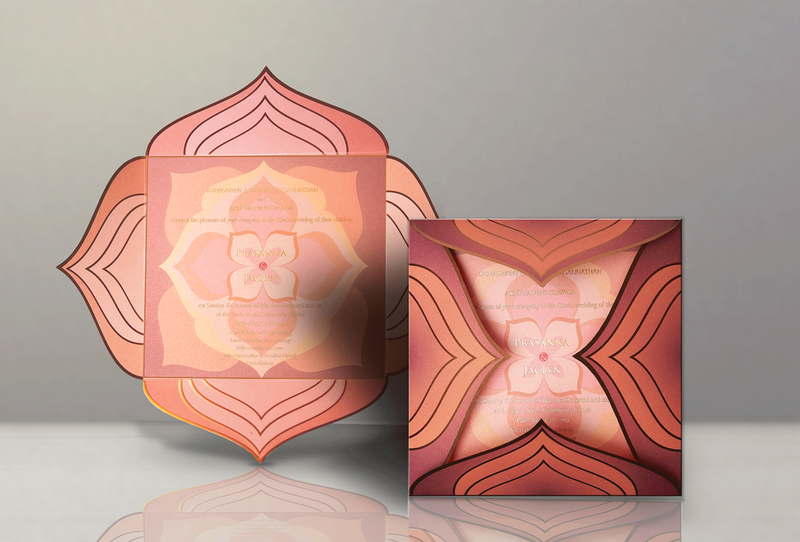 While our specialty is creating bespoke wedding invitation designs just for you, we are happy to personalize any existing design to make it yours. 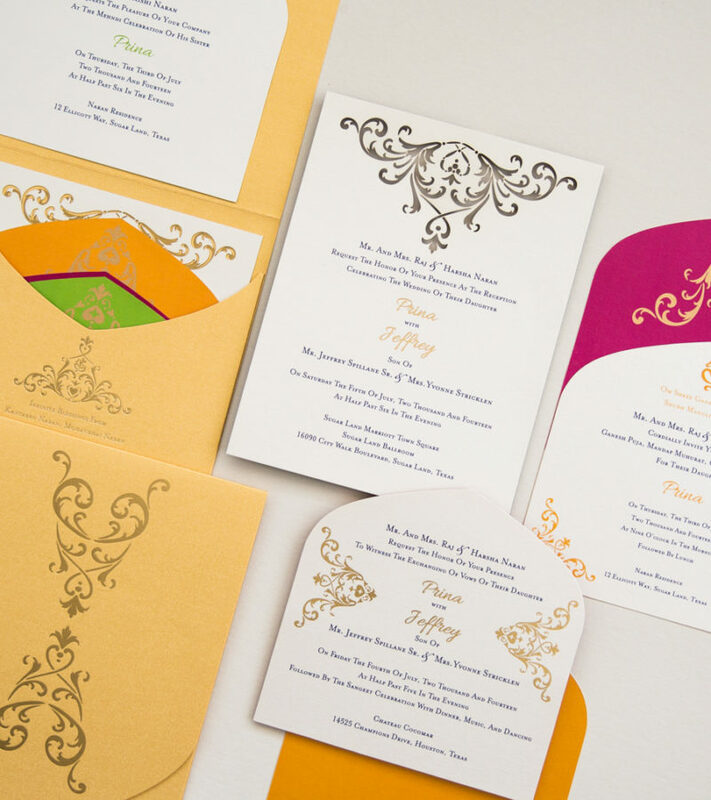 We can customize colors, size, type and components for any design found in our portfolio or on our blog. 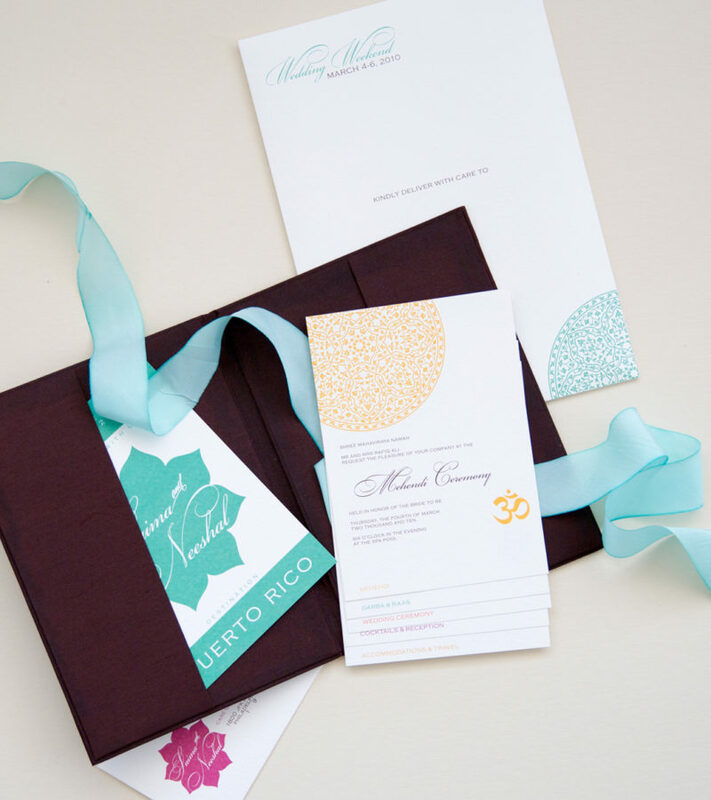 We can add additional enclosures, custom folios and pockets, add-on components, hand-dyed or printed ribbons, specialty finishes, guest addressing or make most major design revisions upon request!